1. Urban Decay - Primer - I don't think I will repurchase this again as it really didn't do anything for me in terms of oil control on my lids or making the pigments pop more. I prefer the MAC Paint Pots over this or maybe even some drugstore brands. 2. Giorgio Armani - Luminous Silk Foundation - This is my second bottle of Luminous Silk foundation and both times I didn't think that I needed it, however I always come back to it. It's one of those foundations that you don't miss until you don't have it anymore in your life. It makes your skin look airbrushed and offers a light to medium coverage. Though I may not repurchase this right away as I would like to try out other foundations, I know that I will probably come back to this again soon. 3. Quo - Brow Pencil - LOVE this! I find that it really delivers and for the drugstore prices, I will definitely repurchase this again as the ABH one is about 2-3x the price of this one. 4. Make Up For Ever - Liquid Liner - This is an ultra black and pigmented liquid liner that delivers a skip-free, smooth line that is matte and black, I found this to run out quite quickly. In addition, the tip got a bit flimsy in the end so I may have to pass on this. 5. Stila - Liquid Liner - Love this! This is my third finished liquid liner. Love the tip, the delivery of the liner and the pigmentation. Again, I will be trying out different products but will probably come back to this again soon. 6. Lancome - Grandiose Mascara - LOVE this and while this is pricey, I do really love the angled wand, it helps me get into every lash and at different angles. Not sure if I will repurchase this again though as if you keep on reading below, I have fallen in love with a few drugstore mascaras this year that are again 2-3x less in price compared to this one. 7. Dior - Overcurl Mascara - LOVE LOVE LOVE this! This may be the one high-end mascara that I may repurchase (but it would have to be during the Sephora sale - haha). It has a curved wand, that helps lift my short little lashes - in addition, it has a drier formula that doesn't smudge and just curls, gives me length and volume. 8. Maybelline - Lash Sensational Mascara - This is ultra black, works well to add length and volume. This is one of my favorites and I will likely repurchase this again as well. 9. Cover Girl - The Super Sizer - This has a very unique wand, it is triangular in shape and has very short bristles, which means I can wiggle it right to my lash line without fearing that it will poke me in the eye. This gives me volume and seperation, not so much length or curl. 10. Marcelle - Xtension Plus Mascara - This is an amazing and underrated mascara.This is something I will continue to repurchase so long as it is in the drugstore. It does everything I want - adds volume, lengthens, curls and seperates. 12. 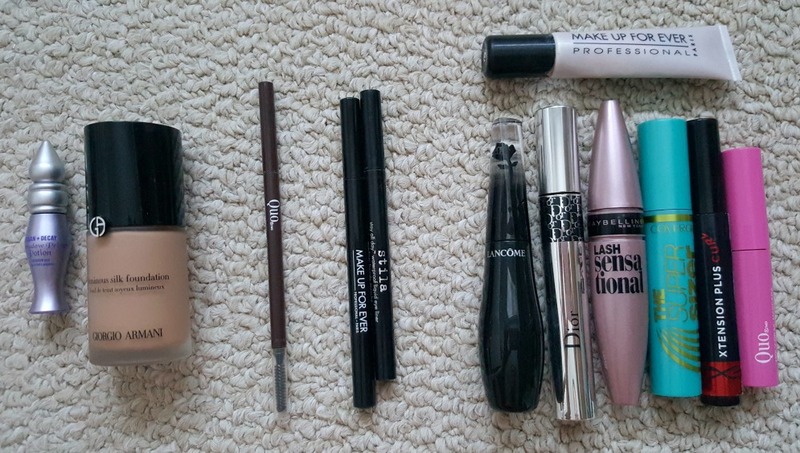 Make Up For Ever - Lift Concealer - I like this mascara alot, this is my second finished tube but since the Ultra HD one came out, that one is my go-to and I will definitely be repurchase the MUFE - Ultra HD Concealer instead. Actually, I will be picking one up at IMATS Toronto for sure in Oct! 1. Bliss - Fabulous Foaming Facewash - This was my favorite cleanser for a few years and have always repurchased it, or my friends would buy it for me for my birthday or Christmas. It contains very gentle exfoliating beads that is gentle enough for everyday use. It is hydrating and also smells wonderful. 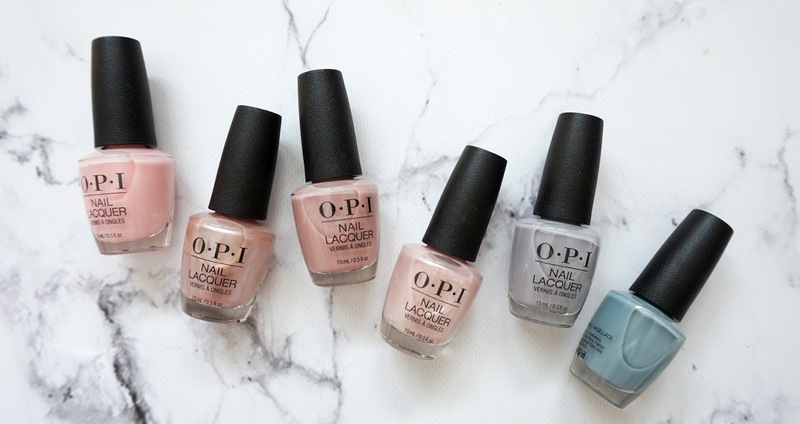 I really do miss this product, I will continue to repurchase this product, however just not right now as I am always reviewing new items. 2. Laneige - Brightening Sparkling Water Foam Cleanser - This product lasted forever and was really hydrating and with continued use made my skin glow. I dont really think that it did anything that exceptional for me to be honest so I will try out other things until they wow me. 3. Saje - Unwind Anti-Stress Mist - I like to spray this in the bedroom (2-3 sprays) before bed and it sets the mood for unwinding after a long and stressful day. Saje offers alot of different scents and blends so you're sure to find something that will be to your liking. 4. Bioderma - Purifying Cleansing Micelle Solution - I have used 2-3 bottles of Bioderma Micelle Solution, many companies have developed similar products but none I think are as good as the original. Bioderma also formulates their micelle solution to cater to different skin types - oily, sensitive etc. I will continue to use this for sure! 5. Vichy - Spa Shower Gel Cream - This has been a savior for my eczema and not only does it smell great, it is also hydrating. It is a higher priced product but it has not inflamed my eczema so I may actually repurchase this unless I find an alternative! 6. Dove - Dry Spray Deodorant - I will not repurchase this product, the scent was too powerful and it offered no protection in terms of sweat control. Unfortunately I will not be repurcashing this. 7. Pure Cotton - This is my second finished box - love it, and at $2 a box I will repurchase this for sure. They are soft and high quality. 8. For Beloved One - Hyaluronic Acid Tri-Molecules Serum - LOVE this! Gives me dewy plumped skin and I swear it makes me look more youthful. I used this morning and night and my make-up application was much smoother afterwards. 9. First Aid Beauty - Face Cleanser - gentle, hydrating and really enjoyed the slight foaming property of this cleanser. 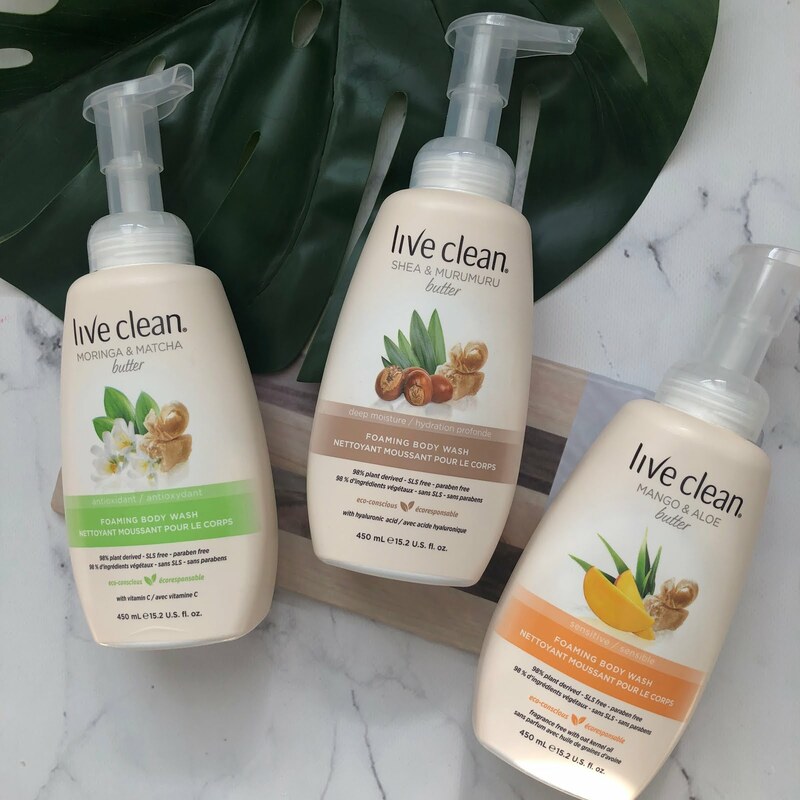 However, this will not be something I will repurchase as I am once again always trying out different products and this didn't wow me quite enough. 10. 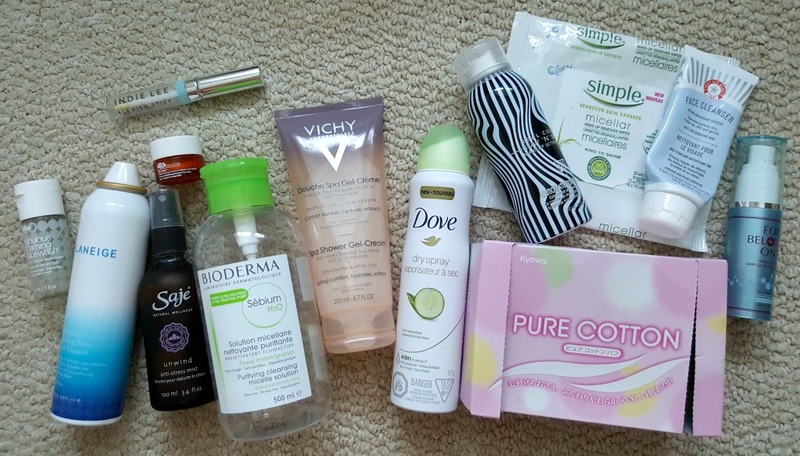 Simple - Micellar Face Wipes - This product got me into having faith in face wipes. I used to loathe them, but this particular product helped me realize that they do work. I of course still cleanse my face thoroughly after with a cleanser, however this removed everything - liner, mascara, etc. I actually uesd this during my lip swatch posts as well, so I will be repurchasing either this or other face wipes to give them a go! 11. Real Colors - Stay N Spray Makeup Setting Spray - Heard about this from Tati (Glamlifeguru) and it is a pretty good product for its price. I like how it acts like the MAC Fix+ in terms of removing traces of the "powder-look" from your face so that you won't look caked on. The spray is also an ultra-fine mist, actually better than the Fix+ or other sprays, but that is because it is an aerosol can. This however did not have the same setting power as MAC or other setting sprays, so I will not be repurchasing this. 12. Indie Lee - Blemish Stick - Will continue to repurchase this! Everyone I introduce this to loves it and repurchases it as well. It helps to zap my pimples and works well to stop the growth (unless its a possessed inflamed cyst of a pimple, destined to hate you - haha, those you need to have run its course). However, this is my second tube and honestly if you feel it growing or you can see a small pimple, this cures it. 13. Origins - Ginzeng Eye Cream - really enjoyed this, however I want to try out other products so I will not be repurchasing this. This has a slight salmon tint to it as well so it offers a brightening quality under your eyes. 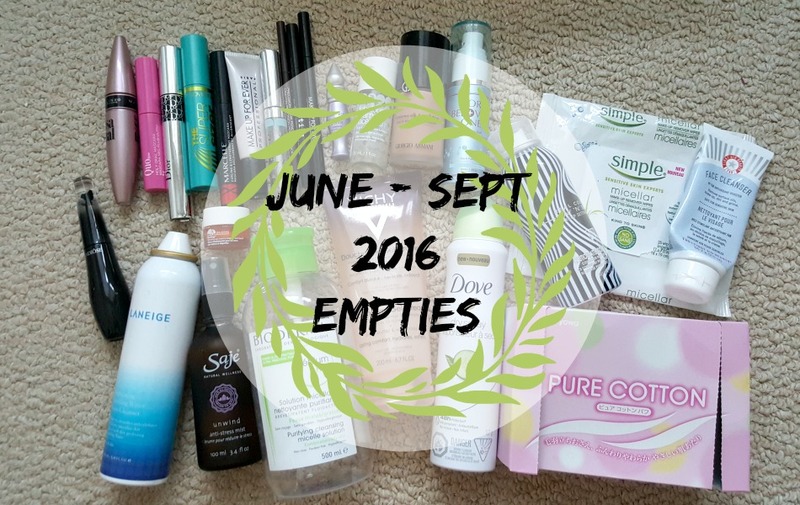 What are some of your empties this month that you either loved or hated? Would love to hear from you!